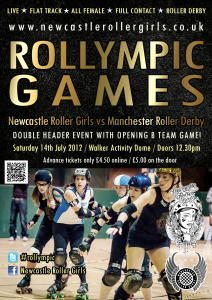 Following in the wheel tracks of the ancients, The Rollympic Games is seen as the ultimate test of Strength, Endurance and Skill. Which athlete will take the place on the top of the podium? Who will be the fastest? How much is that cake? These are all questions that could be asked and answered at The Rollympic Games! “The Olympic motto is ‘Citius, Altius, Fortius’ – faster, higher, stronger. 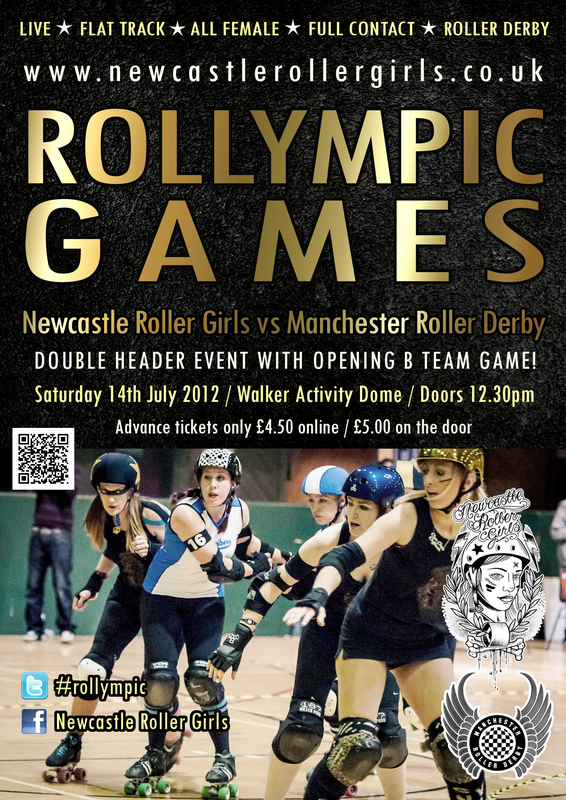 For us it would have to be faster, harder, stronger, and we’re out to prove that although roller derby isn’t an Olympic sport (yet! ), our skaters train like athletes to embody those values and be the best. And what better time to showcase our skills than during such a spectacular summer of sport! Some tickets will be available on the door for a cheeky fiver, but get there early to secure your place in the suicide seats.